First Florida is a Miami-based general contracting company incorporated in 1963, still owned and managed by the founding family. It was started when the original owners of Burger King Corporation invited B.E. Miller to organize a construction company to build their restaurants throughout the United States. Between 1963 and 1983, First Florida constructed more than 1,200 restaurants for Burger King and its franchisees. In the 1970s, First Florida expanded its customer base to include other national restaurant companies and became the general contractor for prestigious national chains including Wendy’s, Sambos, Victoria Stations, El Toritos, WR Grace Restaurant Group, McDonalds, Hardees, Arby’s, Sizzler’s and Garcias. By 1982, First Florida was the nation’s largest restaurant builder. During that time, First Florida expanded into the hotel industry as well and ultimately constructed thousands of rooms for the country’s largest hotel chains including Marriott, Hilton, Holiday Inn, Sheraton and Hampton Inn. Continuing its aggressive expansion program, the company constructed large commercial and industrial projects throughout Florida. High-rise apartments, office buildings, water treatment plants, refrigerated warehouses and banks were added to the company’s projects. Today, First Florida is the state’s leading multi-family housing contractor, skilled in the construction of both market-rate and affordable apartment housing. The State of Florida and the Office of Fair Housing and Equal Opportunity have approved First Florida as a contractor for all tax credit and HUD projects. 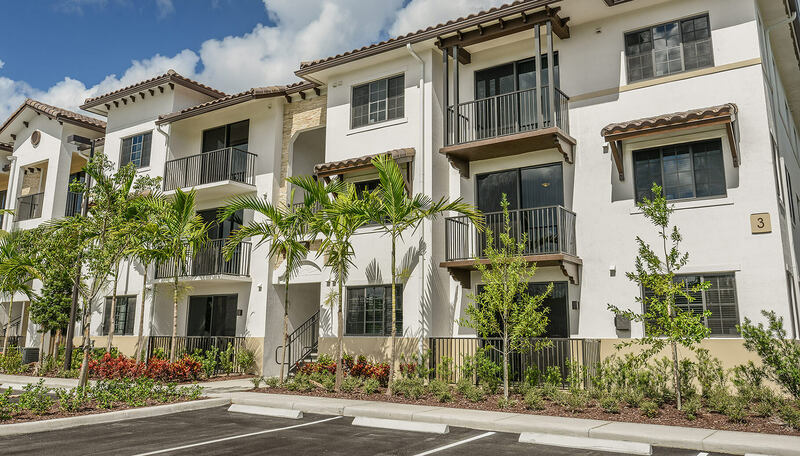 The high quality of our work demonstrates our expertise in affordable apartments, as well as elderly and farm-worker housing, which we build throughout the state of Florida. We are particularly proud of our ability to produce excellent results for our clients in both metropolitan areas and small counties where these types of projects are often most needed. We also build market-rate housing for some of the area’s largest developers, including the Lane Company and JW Harris & Company. First Florida has built over 1,500 units of housing for the elderly that include medical exam rooms, fitness rooms and a myriad of design features specifically for older residents. First Florida has been active in the development, ownership and management of several hotels, including the Comfort Inn and the Hampton Inn & Suites near the Ft. Lauderdale Airport, the Fairfield Inn by Marriott and the Days Inn in West Palm Beach, the Fairfield Suites by Marriott in Port St. Lucie and the Airliner Hotel at Miami International Airport. First Florida has completed several hotels for other clients, including the Best Western in Florida City, the Hampton Inn & Suites in Hollywood, Florida, the Holiday Inn and the Staybridge Suites Hotel at Miami International Airport and a Hampton Inn in Ft. Lauderdale.